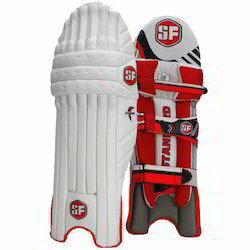 Manufacturer of a wide range of products which include ss millennium pro cricket batting pad, ss aerolite cricket batting pads, ss gladiator cricket batting pads, ss test opener cricket batting pads, sg maxilite-xl cricket batting pads and sg rsd supalite cricket batting pads. 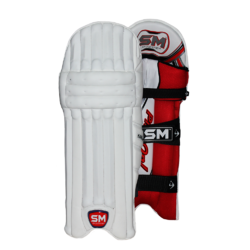 We are offering a premium array of cricket accessories including SS Millennium Pro Cricket Batting Pad that is designed for assured safety with 7 reinforced super-lite ribs and facing extra wider for seamless protection. These have double wings and a Velcro strap at center for excellent hold. We use the best grades of fabric and foam to manufacture these by using high-end technologies. These are made under stringent norms of quality in accordance with well-defined industry norms. Our esteemed patrons can avail these at very reasonable rates. 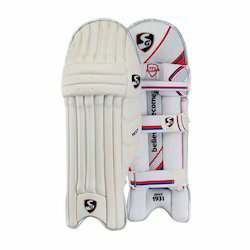 As a foremost business name, we are exquisitely occupied in the realm of presenting to our privileged clients a world class SS Aerolite Cricket Batting Pads. 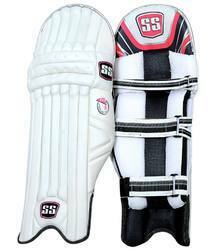 Designed in compliance with the industrial norms; the given product is used by the crickets while playing to protect their legs from external injuries. 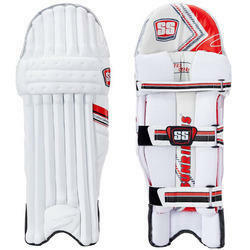 It is easy to wear and demanded due to its extended durability. 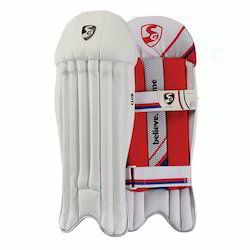 Leveraging on the skills of our qualified team of professionals, we are instrumental in offering SS Gladiator Cricket Batting Pads. 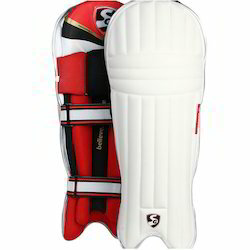 Manufactured using superior grade raw material, these batting pads is extensively used by professional cricketers owing to specialized padding and cutting. We offer these products in different sizes and colors to our valuable customers. These products are made in accordance with the set industry standards and norms. Side Wings Contain Extra High Density Foam. 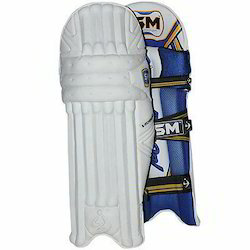 Men''S Size - Available For Both Right And Left Handed Batsmen. 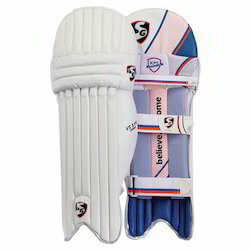 A Unique style, pre mould test match protection, extended side wings. 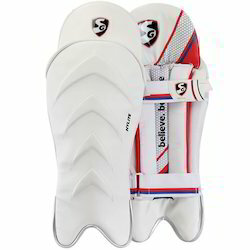 A Unique style, test match protection, extended side wings. 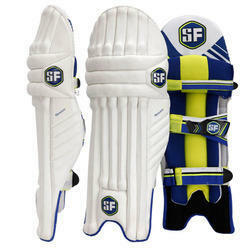 Test batting legguards are made up best quality PU-Polyurethane which is imported from abroad. It is reinforced with high density form and its kees rolls are filled with cotton. Light weight and durable which lasts for very long. 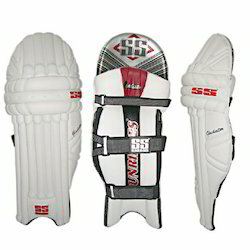 Very light weight cross link foam padded legguard with traditional cane front. 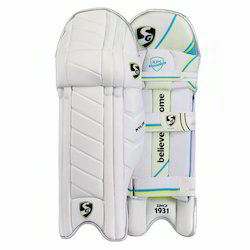 Light weight foam padding and bolsters. 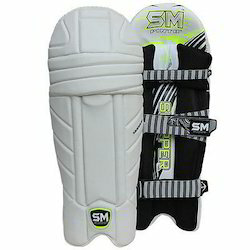 2" ankle and calf strap with padded knee strap. Easy release tabs. Trim around hat instep for durability. Made from premium quality imported polyurethane facing. * High Quality all-leather Palm and Back. * Natural Cup and Palm Design. * Cuffs made from PVC. Double layer verticle wrap around protection on both legs. Side cut on top for the perfect mould. 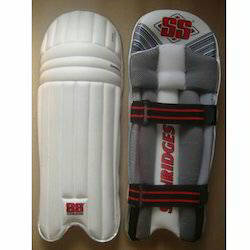 Looking for Cricket Batting Pads ?